A kids talk for Palm Sunday – The Real Deal! Today is a special day in the Christian calendar…yes it’s Sunday, but does anyone know what special name we give to the Sunday before Easter? Yes, Palm Sunday – the day in Jesus’ life when he came into Jerusalem on a donkey and the people recognised him as the Son of David. Do you remember what they did? Yes, cut branches from the trees and spread them on the road. And they sang Hosanna to the Son of David! Well, as I was thinking about Palm Sunday I remembered something that happened recently that was also about recognising the real deal. Do any of you know what has changed about our money? Yes, there is a new £1 coin. Have any of you seen it? Well, here it is…come and look. Do you know why they changed it? It’s because there are some people who don’t want to work for their money, they just want to figure out how to make fake money. Apparently if we had 30 £1 coins here, one of them would be fake. Can you believe it! People try and copy the real thing so they can buy things they want. So the people who make the real coins have decided to make them even harder to copy, by making the coins different to the old one but also giving it special characteristics, so that people can more easily recognise the real from the fake. Here there is a number 1 and a pound sign in the same place, depending on what angle you look at it. And when people saw him some of them said to themselves…this man is the real deal. And on that day when he rode on a donkey into Jerusalem, the people held up this man to the test of the Old Testament predictions and said, yes, he fits the description, he is the one we have been waiting for…he is the chosen one, the messiah. The harder something is to copy, the more sure we can be that we have the real thing…what is true for one pound coins is also true for our Saviour. Think about this over Easter, when you are tucking in to your Easter eggs…Let’s pray. What is the most exciting thing happening this Christmas? What about the most exciting thing for people living in the UK? It is the story of Tim Peake the first British European Space Agency astronaut. – he was a test pilot for the RAF and clocked up 3000 flying hours. In 2009 he beat 8000 other people to join the ESAs astronaut training programme. – During launch, as per tradition, each cosmonaut was allowed three songs to be played to them. Tim chose Queen’s “Don’t Stop Me Now”, U2’s “Beautiful Day” and Coldplay’s “A Sky Full of Stars”. – His first meal at the ISS was a bacon sandwich and a cup of tea. – He is now travelling at 17,150 miles an hour, one mile every 5 seconds, and completes 16 orbits of the earth every day 205-270 miles above the earth. If we think of another traveller, celebrating his birthday today…he came from heaven to earth. John chapter 1 tells us that before He was born He existed. The Son of God came from existing for all eternity in heaven to be a little baby boy. An incredible journey that was planned all the way back in Genesis 3.15… I will put enmity between…He will strike your head and you will strike his heel. – He was fully man and fully God in one body…the same essence as the Father and the Spirit. – He had three years of very popular but controversial ministry and was a victim of a hate campaign to kill him. So you have these two men – both relatively unknown for most of their adult life, but now thrust into the spotlight. Both men had a specific mission to fulfil, both had spent years in preparation. However, while they are both an inspiration, only one can change your life at the deepest level. The first picture here is of a message sent from The Queen to Tim shortly after blast off. The Queen sums up the mood of the nation by saying that we are all proud of what he has accomplished and are right behind him. Not a bad first day on the job! When we look at Jesus we see that the Royal response is a bit different … The men from the East went to the King expecting him to be celebrating the birth of a new son, instead they find he knows nothing about it. How dare some peasant family claim to give birth to an heir of his throne…so he sets out to find this child and destroy it. From his earliest time on earth, Jesus divided people. The peace of the nativity scene was soon broken and the young family fled to Egypt. Later in life he would say, I did not come to bring peace but a sword – to divide a father against his son and a mother against her daughter. Not a sword of violence, but of spiritual transparency – to reveal what is already there. God came into the world and the first thing we need to realise is that he came into a broken world. He found a hurting world, a divided world, a sinful world. The second picture is of the take off of the Soyuz TMA-19M on 15th December. It took 9 minutes to reach orbit – and this picture was taken by an aeroplane pilot flying from Seoul to Frankfurt. It reminded me of the star in the east that the wise men followed. With the wonders of modern technology this picture has now been retweeted 6,000 times and liked 10,000 times…across the whole world thousands of people are seeing Tim’s star in the sky. The star over Bethlehem that night was only seen by a few people. Only the men who studied such things spotted it, as far as we know, and followed it. A few people noticed and saw any significance in it. But just because it wasn’t all over Facebook and Twitter, it doesn’t mean it wasn’t important. God sometimes puts the most precious of gifts in the most obscure and hidden places. All these years later we may celebrate it slightly differently but the second key point is that it really did happen. When we search beyond the obvious, and look underneath the superficial, we find that there actually was a real event that actually happened. A real baby, a real mother, a real birth. The start of the most incredible human life ever. The last picture is of one of the other cosmonaut’s taking Tim’s blood. While he is up there he has a host of experiments to do on his own body. Part of it is getting his blood sampled for any changes during space flight. Just a pin prick and a small injection and all done! For Jesus, his whole life was leading up to the moment when he would pour his blood out for the world he loved. From the moment of his birth his destiny was set – he truly was born to die. The blood that flowed within him was for the healing of the nation’s because it was divine blood, pure blood, perfect blood. Not in a biological sense, but in a moral sense. The life is in the blood we are told in the Old Testament. The perfect offering made as a gift…as a present made at Easter time, has power to cleanse us from all stains. This is the third key point – it cost him everything to undertake his rescue journey. So this Christmas time, will we pause and take a moment to reflect? Reflect that we live in a broken world, a world that is beautiful but also stained. The dye has run and the colours have bled together. Will we meditate on our powerlessness to do anything to undo what has been done? Will we reflect that this baby was actually born, that it is not a fairy tale or myth, but an historical fact. Will will take time to study the evidence of his life and death to answer the most important question, who is Jesus? Will we reflect on his sacrifice, at the one time in the year when the background music fades and the rat race momentarily slows down? Will you listen for his voice? He is calling your name, behind the tinsel and turkey and toys, he is calling to you, will you listen? This post is a summary of my message on Week 14 of The Story. 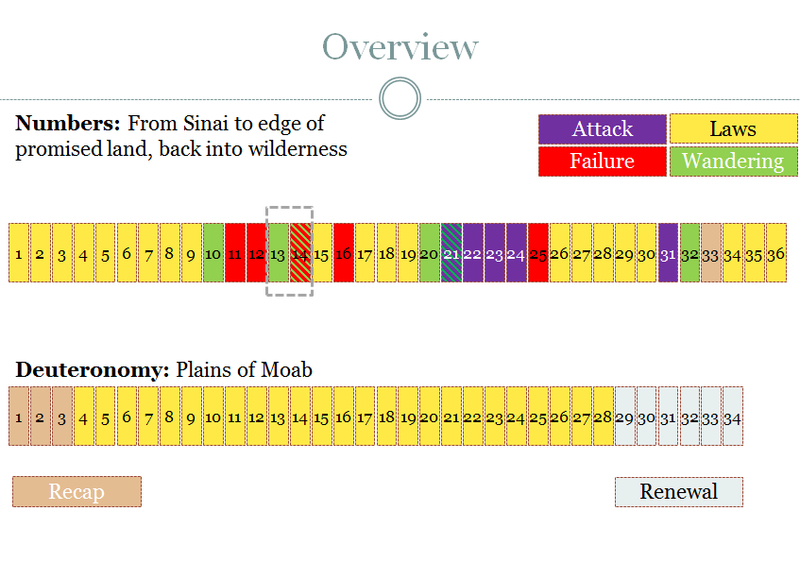 Today we are looking at the events immediately after the death of Solomon. From now on it will be a steady downward path towards apostasy, spiritual decline, military defeat and eventual exile to a foreign land. This is not a happy story – the glory days stand behind us now. Hope you enjoyed them! In a referendum the people are given a choice – they answer yes or no to a specific question. In our passage today, we see the reverse, the people come to the new king with a specific question that requires a yes or no answer. Will he say yes and ease their labour conditions, or say no? He decides to phone some friends, in fact two groups of counsellors. But he chooses the wrong advice – the old and wise heads urge caution and prudence, the young guns advise boldness, dominance and ruthlessness. Clearly the people had been dissatisfied with their forced labour under Solomon but had been reluctant to challenge the status quo. Rehoboam goes for bravado over brotherly kindness and machoism over mercy. And what would you know, there just happens to be an enterprising young man ready (Jeroboam) to mobilise the resistance. The mighty Kingdom of Israel is split over a single decision on employment terms and conditions. All this was from the Lord – 1 Kings 12.15 states it clearly, Rehoboam’s pride and arrogance are the means whereby God brings his previously declared judgement upon Solomon. Jeroboam loses no time in establishing himself as a rival king in the northern tribes – fortifying cities, creating a counterfeit worship system and installing his own priesthood, so the people don’t need to go to Jerusalem. But he also opens the door for all the other idols around them. While God had purposed that Jeroboam be the means of splitting the kingdom in two, he had not wanted them to worship other gods. From now on Israel would edge steadily towards spiritual disaster. As king after king continued and deepened the sinful practices and habits. We almost always think of warnings as being negative things, but warnings can be wonderful. The fire alarm that wakes you up in the middle of the night and saves your life will seem a wonderful invention when you are stood outside in the dark. The flashing light on your dashboard warning you of your fuel filter is boring, but if you don’t have it you can end up losing power on the motorway. Warnings can be wonderful things when they are genuinely aimed at protecting us from harm. In the midst of all the warnings, the judgements, the destruction of the kingdom, there is a jewel. Living for God in those times must have been very tough…everything that you had enjoyed about being the people of God was being dismantled. What hope is there? 1 Chronicles 11.13-17 – these five verses give us a ray of hope that the light has not been totally extinguished. The Levites see what is happening and turn their backs on the land that was rightfully there’s and leave for Judah. They were rejected by Jeroboam and in some ways you might say they had no choice. But in 16 we read about the people, the faithful remnant who had set their heart on seeking the Lord, they also left their homeland and came to Judah and strengthened it and supported Rehoboam as God’s anointed king. It is a spiritual exodus from unfaithful Israel to faithful Judah. In all the darkness of these days God had not left himself without a witness. These had not bowed the knee to Jeroboam, or his false religions. Their love for God cost them their homes and land, they left all for the sake of their God. So a remnant remained – and this will be the case throughout the rest of Israel’s history. The faithful few who sought the Lord and swam against the prevailing spiritual decay and backsliding. Finally a few words on what this means for us today, how do we understand what is going on here? A key text is 1 Corinthians 10.1-13: all received the blessings, but not all were pleasing to God. God was making a point with the Old Testament events, an example for all time, that we might learn and not repeat the lessons of history. So what are we to learn? God wants our hearts! At the heart of what He desires, is His desire for our hearts. Have you ever watched a sailing boat tack across a lake to try and sail upwind? One minute it is heading towards its destination, the next it is heading in what seems like the opposite direction. If you didn’t know anything about sailing you might question the sailor at the rudder, but all the while the boat is slowly making its way upwind and upriver. So it is with this passage, it is like a moral maze that we find ourselves in with this passage. The question we need to ask is, what is God doing in these verses? Is he for Israel or against them? Why is he so strict with his own people? The answer, I believe lies in 3 deep truths…firstly the impartiality of God, secondly the divine, righteous jealousy of God, and thirdly the progressive, deepening, revelation of God seen in scripture. God shows no partiality – he is a holy God and a loving father who knows what is best for us and does not want us to be satisfied with lesser loves – whatever they may be. His love drives him to intervene, sometimes requesting, sometimes allowing, sometimes restraining and sometimes judging. We must have a holy fear – of ourselves and our weakness, fear of God and his righteousness, fear of starting well, but not finishing the race. Do our lives please God? God is jealous for our love – we almost always view jealousy as a bad thing. But in its pure form, striped right back to its essentials jealousy can be beautiful thing. It says: “I know what is the best thing for you, and it is me, not anybody, or anything else, but me”. God has established a covenant of grace with us not a covenant of works; not of obedience, but faith, a righteousness apart from the law. We stand on a foundation of unconditional love. Our experience of this love in our daily life is conditional upon our obedience. The covenant of law is not good for sinners, Rehoboam, Jeroboam, Solomon, the Man of God – all discovered this the hard way. The covenant of grace is the only refuge for the sinful person. This is the referendum choice we all face – do you believe that I am the Son of God? This is the complete obedience to every warning, the blameless lamb of God, who is yet rejected for us. This is the king who has rescued a remnant, do you know you are one of his children today? 1. The outsider is the centre. Those that are on the outside are the ones that we want to care for; people will labour for those who they have never met, for those that are not seeking God. The needs of the one who is the least influential are prioritised over those that are the most involved. The special needs of the few are sought to be met if possible, even at the expense of the comfort of the majority. What is not expected, what is not demanded is given freely, willingly, instinctively. When one person sees a need they take the initiative to meet that need, without being asked or asking someone else. Those that have nothing to offer, those who nobody else has time for or wants are the most precious to Christ…and the most precious to his church. This was all brought home to me at my home church recently. We are a small rural church of 40 or so adults and a dozen kids. Over the course of a few weeks my Dad distributed 3000 gospel leaflets round our town. In response to one of those leaflets a group of East European young people came to church. They started coming to the morning services, and without even asking, our people on the audiovisual system put up the bible reading in their own language, alongside the English. At this moment I realised again afresh, that I love the church! People going out of their way, without being asked to help those new to our church feel at home…what a great place! Many people are fascinated by the SAS – no I don’t mean the Special Air Service, but they are pretty exciting, neither do I mean Suarez and Sturridge – Liverpool’s goal machine last season…no I am talking about Samuel and Saul. These two are two of the biggest characters in this period of the Old Testament. Their lives are intertwined and their different personalities and spiritual devotion provide the light and shade of the books of Samuel and Kings. Let’s look at Samuel first, or Sam as we have called him here. Samuel was the son of Hannah – a son of prayer and promise. Samuel grew up at the feet of the priests in the temple of God. From his earliest days he learnt the ways of God – he even heard God speak directly to him. Remember what happened? He thought it was Eli, three time he went to Eli, until eventually the old man realised God was speaking to him. As he grew up God guided him and protected his words, so that he was respected by all as a prophet and priest for the nation – to provide spiritual leadership to the nation. But as Sam grew older it became clear that things were not right in Israel. This chosen nation that had been taken out of Egypt and planted in the promised land was withering. The people were tired of being told what to do by the judges, they wanted someone more impressive to lead them than old Sam, whose sons were not of the same character as him. They looked around and saw the other nations had something they thought they did not – a king. God had been their king, leading them into battle, fighting for them, protecting them, and Samuel was their priest and prophet. Now they were rejecting God as their king and so they asked Samuel to give them a king like the rest of the tribes. This made Samuel very sad, but it was really God their king they were rejecting. So God let the people break the kingly bond between them and him – he warned them what a king would require of them and how a king would trade their best land and sons and daughters…but they still wanted him. The sign of a king was the anointing oil poured over his head, this signified the blessing of God being poured out onto the person and the setting aside of their life for a special purpose. It was Samuel’s job to anoint the new king. God tells Sam to anoint the person he points to – someone who would look like the other kings around them. Head and shoulders above the rest, Saul was an impressive young man. Although initially shy and reluctant, Saul finds his boldness when one of the cities is threatened. So, a promising start for the new king. But as is often the case power goes to our heads and things quickly fall apart and under pressure Saul makes some bad impulsive decisions. But worse than that, not just bad decisions, but sinful decisions. Decisions that reveal where his heart really lies – and show that selfishness and pride lie at the heart of this man. Saul was impressive on the outside but weak inside…he obeyed as long as it was comfortable. On two occasions Saul disobeys God – first in offering an unauthorised sacrifice when he got fed up waiting for Samuel to come and offer them before his battle with the Philistines. And then by keeping alive the King of the Amalekites and the best cattle and sheep when God had ordered it all to be destroyed. In the first incident Saul oversteps his rightful authority to encroach on Samuel’s Territory – driven by the fear of man, rather than the fear of God. In the second he allows his pride to decide what bits of God’s law he should obey. He sets his own will above that of God, and he pays the price. Here Saul is a picture of all of mankind – doing what we think is right, editing out the bits of God’s law we don’t find convenient, obeying him as long as we don’t look foolish in front of people. This king cannot help us, because he is just like us. Finally Sam confronts Saul and tells him that God has rejected him as king – that he cannot continue under the blessing of God and his sons will not continue the monarchy. In his haste Saul grabs Samuel’s coat and as Sam turns away he tears it – this is what God has done to his anointing – torn it up! You see Saul had been torn between the fear of man and the fear of God, he had been torn between convenience and obedience…and had made the wrong choice each time. His heart was torn between the love of the world and the love of God, now his kingly reign on this world was torn away by God. So the kingdom is taken away from Saul – not right then, he still remained king for many years, desperately holding onto his throne against the young upstart called David, who we will meet next week. And Saul is very sad by how popular David becomes – jealousy and hatred overwhelm Saul in his later years. He lived from a place of fear…fear of losing his position, of being exposed and replaced, the seed of destruction had been sown and time was running out. Saul would eventually run out of options and desperately seek Sam out even after he had died, and find that the end was nigh. More than that his beloved Jonathan would also die with him and the kingly line be extinguished. So for us the consequences of our sin take time to appear, right back in the garden Adam and Eve were told they would die if they disobeyed, but they ate and nothing happened…immediately. But the egg timer had started to pour and their death was certain. What would God do? The people had rejected God as their king and Saul had failed God. He would find a king who would be someone with his character, a man after God’s own heart. But even this king would fail. Ultimately He would take back that kingly role to himself, one day…one day another king would come, one who would honour God above all else, who would not fear the disapproval of man, or the suffering of obedience. God would unite the role of prophet, priest and king in one person, one man. The king would arrive in Israel while they were sleeping and he would return the union between God and his people. He would rescue and redeem them, not through war as Saul did, but through sacrificing himself. King Jesus, the true king, never flinching, never wavering, never compromising. You see not only did the Israelites reject God as their king, we too rejected God as our rightful king. We by nature rebelled against his rule over our hearts and said…”we will not have this man to rule over us”. If you are a Christian this morning you have bowed the knee willingly to this king, and pledged allegiance to him. We have given him our hearts, lives, everything we have, and found that he is a king we can trust, a king we can exalt and worship. Will you worship him today? Will you let him restore what has been torn and remove the sin in our hearts? I see no scullery maid! “If you have been here recently you will know that we have seen the birth of a new nation ‐ right back to God’s promise to Abraham in Genesis 12, through the birth of the promised child Isaac, through the growth of the nation in Egypt and their exodus from Egypt to now being a tribe of well over one million people. There are two census in Numbers and each one comes in at just over 600,000 men aged over 20 years old. Up until now God has spoken to one person at a time, be that Abraham, Isaac, Jacob or Joseph, how would he guide and lead a tribe >1,000,000 people? The promises are starting to be fulfilled, but what happens next? Some sort of order and structure is needed to organise this mass of people, some system of living is essential to prevent anarchy. You can see all the yellow blocks below shows all the chapters about laws and regulations that God gives them. God tells them how he wants them to worship him, what they should eat, what to wear, how to fight, how to celebrate… etc. In the past people could claim ignorance and say they didn’t know any better ‐ not any more. Very little of life would be not be covered now. But things were not as simple as one would hope. External enemies and internal resistance marred the progress of the Israelites becoming God’s people acting in accordance with his plan. The story of Numbers is the story of opposition ‐ opposition to the will of God for his people. We see scene after scene of failure to follow God in faith and trust. Every step forward seemed to be accompanied by another step backwards or sideways. As soon as they leave Sinai we see the Israelites demonstrating every human, even natural weakness ‐ hunger, envy, fear, jealousy, thirst, impatience & sexual immorality. We see God’s provision and protection being constantly questioned, we see Moses’ leadership being repeatedly challenged and we see God judging and showing mercy to his fickle people…not much has changed has it? Are we so different? These are the results of a divine perfection colliding with imperfect sinners. Through it all God was looking to find out if his people would trust him, if they would trust in his protection and provision and follow him obediently. God through Moses sets out the way to life before them ‐ all the yellow blocks… he says blessings will come if you obey, and curses will come if you disobey. Look at Romans 7.7-13 – the law teaches us that we cannot keep the law, it reveals sin in us. It is good in itself, but by its very goodness and our badness, the law brings us to our spiritual knees. And when we are on our knees finally, because we have failed over and over and over again and look up, what do we see? We see a dying Saviour, giving his blood to give us an alternative to living by the law…through a righteousness apart from the law. This is what the Israelites couldn’t understand, that the law could never make them right with God. Abraham believed God and it was credited as righteousness. Later on in Romans 10.5-10. Paul is deliberately putting these two passages alongside each other and saying Moses sets down a righteousness by law, Christ the righteousness by faith. So many Christians get this all mixed up, we don’t understand our relationship to the law. So many of us still live by the law, thinking that we will be accepted if we just try a bit harder. We must receive as a gift what we could never earn as a payment. That is what God wants for his church. Faith in a promise, not my performance. He looks at us this morning and says to us I see no scullery maid! I see my bride. Deuteronomy 30.19 vs Romans 10.9 the word of obedience vs the word of faith. Choose which one you will serve today ‐ choose faith, choose grace, choose life. Our church is going through The Story we are at week 6 and I was tasked with covering the Wandering chapter for the kids and adults this morning…here is the kids talk. We played the short “Teens” video clip for week 6 first for the whole church. “This week we are learning about the wilderness wanderings…when I was little my Dad used to have a board game that we played on a Sunday called Wilderness Wandering. It was a game that moved you through the different events that happened in the wilderness as the Israelites journey from Egypt to Canaan. In fact I have found a picture of the board game and also a picture of us all playing it…my Dad didn’t have his moustache back then! You ask them about it after the service (maybe it wasn’t exactly like this!). What are your favourite board games? Monopoly, kids of Carcasson, junior Cluedo? One of the best loved is Snakes & Ladders – what happens when at bottom of ladder? What happens when land on a snake? Go back to where you started from that’s what. How long does it take to get back to where you were? The Israelites had been prisoners for years and been miraculously delivered from Egypt. Now they are on the edge of the promised land, but instead of going up a ladder they go down a snake. They take another 40 years to get back to where they were. Then they finally make it through. The ones who went in were just kids when they stood there the first time.